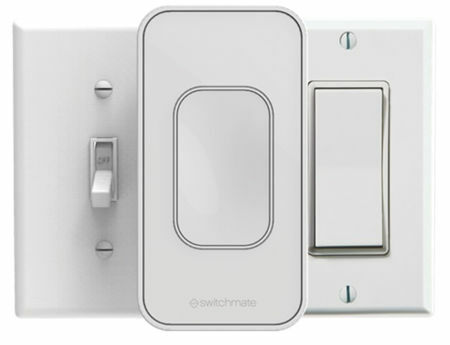 The Switchmate light switch happens to be the maiden smart home product that can be used with absolutely no installation, configuration, tools or wiring – which means you do not even need to know how to use a toolbox in order to take advantage of it. This is a sleek light switch which will magnetically attach itself instantly to any standard light switch, enabling consumers to immediately control it with the Switchmate companion app. The Switchmate light switch is the result of the company’s Indiegogo campaign which happened last year to much aplomb. For starters, the Switchmate smart light switches delivers peace of mind and security to consumers, who are now able to enjoy lighting controls at their fingertips on their smartphone. Apart from that, homes that do not yet have Wi-Fi connectivity are now able to enjoy smart home technology, as Switchmate makes use of Bluetooth connectivity in order to hook up the device and the app. Switchmate works automatically, enabling customers to start making use of it right out of the box, thanks to the convenient default setting on the Switchmate app. The “Welcome Home” feature will automatically help lights to turn on by sensing the smartphone when returning home or entering rooms. Not only that, customers are able to make use of the intuitive Switchmate app in order to personalize their lighting in just a matter of moments, where among them include setting timers to turn on and off lights automatically at preferred hours. It is also thin and light, and can be attached over existing light switches (rocker or toggle) thanks to the presence of powerful magnets – which means no unsightly rewiring or configuration are required. Definitely the home improvement addition you’ve been looking for all this while.